Attendance at events hosted by the Rocketry Organization of California (ROC) is AT YOUR OWN RISK. Insurance to cover your rocketry activities is available as a benefit of membership in either the National Association of Rocketry or the Tripoli Rocketry Association. Please note that membership in ROC does NOT include insurance, or any assumption of liability on the part of ROC. ROC membership allows you to fly at all of our launches without paying the daily launch fees, and a few other membership benefits. All attendees at ROC events must check in at REGISTERATION at the launch and sign the ROC Agreement and Liability Release Form to indicate understanding and acceptance of the risk and liability. Spectators and flyers will be given a wristband to indicate that they have registered. Our launch site is located on Lucerne Dry Lake, north of the town of Lucerne Valley and east of Victorville, at an altitude of 2848 feet (870m) above sea level, somewhere in the middle of the Mojave Desert. To get here, simply navigate to 116° 58′ W; 34° 31′ N, or visit our Directions Page. But before you do, please do read our Survival Page! And if you plan on staying over on the lakebed, please read the Camping Page! Launching and Waiver information can be found on the Launches Page. Important Note: All recreational off-road activity is illegal at Lucerne Dry Lake, per the BLM. This refers to the riding of off-highway vehicles such as dirt bikes, quads, and 4WD vehicles. However, your rocket recovery operations are permitted using vehicles licensed for driving on the road. This means get on the lakebed, get your rocket, and return directly to the range head. If your rocket leaves the lakebed and lands in the brush, you must stay on established roads and collect the rocket on foot. Local Lodging: If you need to stay overnight in the area, and camping is not your thing, there are motels available in Victorville, Barstow, and Apple Valley. The eastern part of Big Bear is also an option, only 45 minutes away or so. JR RV Rentals, LLC. of Apply Valley is known for supplying the best RV, Trailer and 5th Wheels for your next camping trip. Delivery and set up is available to make everything easier for your trip without the hassle of towing a trailer. More Fun Info About Lucerne Dry Lake! 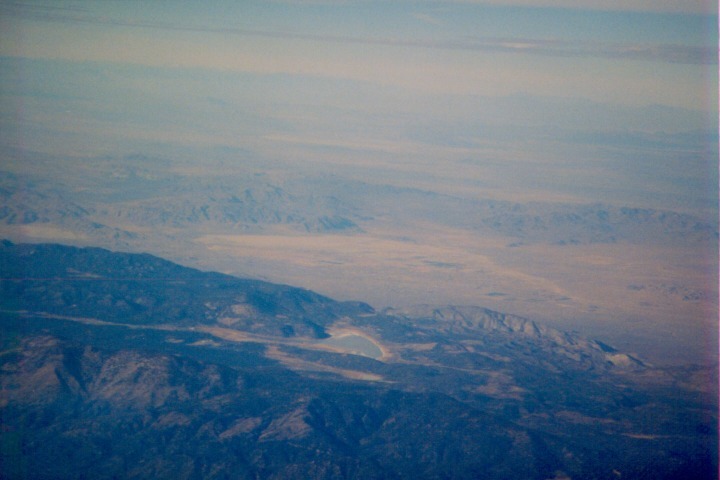 There are some additional resources on the web that give more information about Lucerne Dry Lake, and about that part of the eastern Mojave Desert. First, there is the Lucerne Valley Community site. A particularly cool site is called the Digital Desert, which has a wealth of information about the Mojave Desert, and includes photo tours of the Lucerne Valley, and Lucerne Dry Lake itself. There’s another sequence of photos covering the area around Highway 247. They even have an aerial tour! This is a great way to see what you are headed into when headed out to Lucerne for the first time. More? Well, there’s always the Lucerne Valley Wikipedia entry. And lastly, here is an aerial view taken by the late Steve Roberson.